Only managed, controlled food chain from "farm-cow" to "packet of milk on the table" will ensure strict quality, food safety and usefulness of dairy products to the consumer. What kind of milk-raw materials for incoming inspection dairy enterprises - is the quality of the finished dairy products output, this is the correct construction of the concept of socially responsible business. 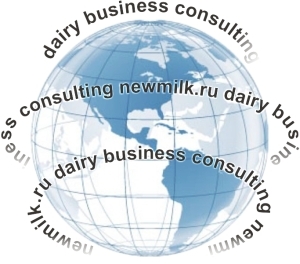 International cooperation on the harmonization option, adaptation of standards, regulations, rules and regulations in the production of raw milk its processing, packaging, labeling in relation to trade and the economic outlook in the designated geographical location on the world map. The course is aimed at improving the efficiency and transparency of the existing business and for the profile of the audience.